There's never been a better time to be in love with your initials. Lately it seems like everything has a monogram option, from sweaters to iPhone cases to necklaces. Making a product uniquely your own has caught on and I have to admit, I'm definitely wanting to jump right into the trend. How do you feel about monograms? What items do you have monogrammed? Love!! 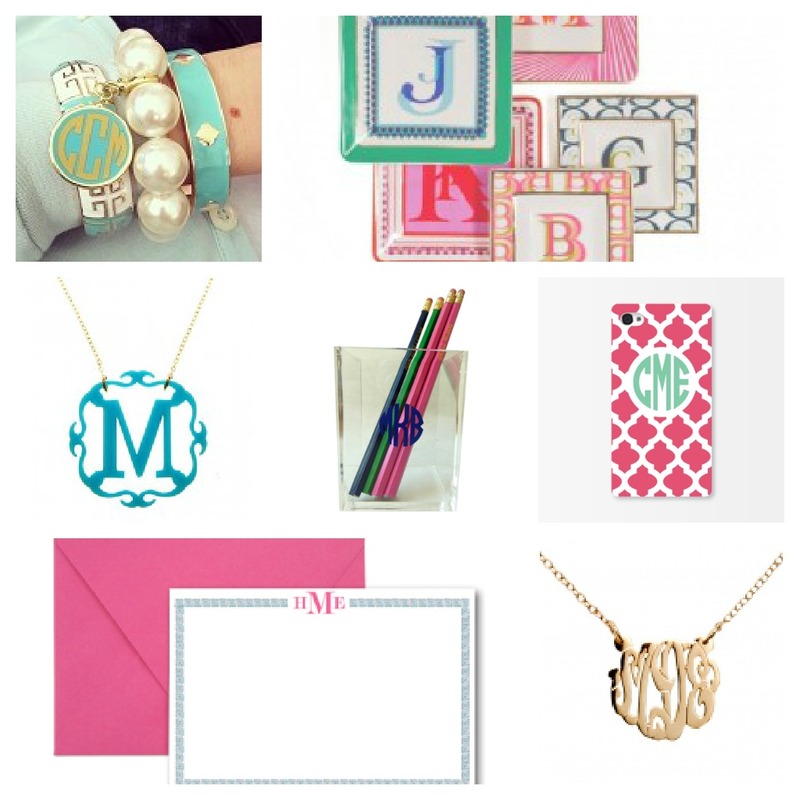 I'm dying for some more monogrammed goodies, especially a scarf and necklace! Too cute! me too, a scarf is definitely a cute way to display a monogram! Lovin' all the monogram stuff - especially the necklace! thanks so much for reading Allie! I LOVE your blog! i have nothing yet, but would love a necklace. the bangles are really cute, too! Love the pencil cup! I made my own monogram rainboots a couple months ago and get complimented every time I wear them! I have worn my monogram scarf quite a bit as well. Just found your blog and love it! Love love love monograms!! I have been obsessed with these lately!! Almost everything I own is monogrammed! I'm a bit obsessed, I guess! P.S. Today I posted a little DIY tutorial on making your own monogrammed pencil holder!